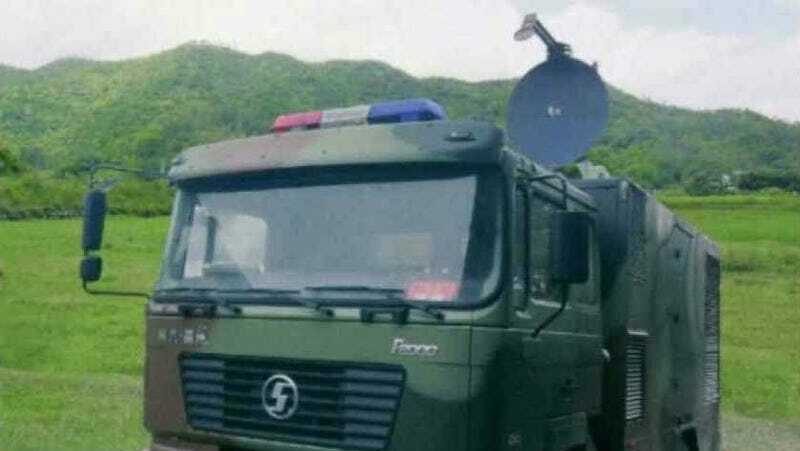 Sure, it looks like somebody strapped a satellite dish to the roof of a box truck and painted it camouflage, but that doesn't make China's newest nonlethal weapon any easier to stomach. In fact, take a gut shot from this thing and your stomach will feel worse than a kitten in a microwave. Yet somehow, it won't kill you. Probably. There aren't many specs on the weapon, dubbed the Poly WB-1, available yet. However Chinese officials report that the weapon currently has a range of 80 meters (and could be extended up to a full kilometer in later iterations) and that it utilizes a millimeter-wave beam—just like the one in your home microwave—to excite water molecules within the cells of the target, resulting in gut-wrenching pain. That'll show those rablerousers and their calls for democratic reform.